After the incredibly difficult start Chris Coleman had to his Wales managerial career, especially after losing 6-1 to Serbia, many supporters would have raised eyebrows if you’d said to them after that game that in three years’ time the Wales team would be on the verge of qualifying for their first tournament since 1958, and also that Chris Coleman was to be offered a new contract. Nonetheless, that is exactly the situation the Wales faithful finds themselves at this very minute. Leading their Euro 2016 qualifying group, undefeated after six games and having only conceded two goals, Wales are flying, and Chris Coleman is the man to thank for that! After such an incredible turn of results that has seen the side go on an undefeated streak in competitive matches stretching almost two years, fans and those in the media have inevitably started talking about the small matter of Chris Coleman’s expiring contact and what the future might hold for Wales’ leader. ‘Yeah, we all went out for food after the draw in Russia, myself, and the delegation that came over to Russia such as the FAW President, the CEO and so on, and we had an informal chat. My reason for not really getting into all of this though is simple: we haven’t got the job done yet and we need to get to France. Chris Coleman has constantly been praised, whether performances are going well or not, for his passion for Welsh football. It is obvious he loves his country and wants to see them succeed. So much so that, if he wasn’t on the touchline as a manager shouting instructions to his players, you’d be pretty safe in betting that he’d be there in the stands doing exactly the same thing from there instead. ‘Even throughout the last campaign where we all had such a horrible time following Gary’s passing, managing my country was then, and still is, the biggest job there is in football to me, and the biggest honour that could possibly be bestowed upon me in my career – regardless of whether it is a successful tenure or not. Martin Tyler is the voice of football commentary and one of the few people who has been part of Sky Sports since the very beginning. About to embark on another new season of commentary, he spoke to us about the new campaign, new players, the goal everybody remembers and a whole lot more. On his coaching role at Hampton & Richmond. I’ve been coaching at three different clubs in the last 10 years, I help out a manager I know and we’ve developed a good partnership. It fits in with work as it’s football related and I usually work Sundays, so I have Saturday’s free. Tyler Roberts – The next big thing in Welsh Football? Those were the words of captain Ashley Williams following Wales’ unforgettable 1-0 win over Belgium at the Cardiff City Stadium last week. ‘Who was he talking about?’, I hear you ask. West Bromwich Albion’s and Wales’ newest and most exciting strike prospect, Tyler Roberts. Another thing you might be wondering right now is why I asked about a 16-year-old prospect after one of my country’s most memorable victories in recent times, without a doubt for at least 13 years. Well, that’s how highly I rate this guy. I’ve not seen him play too often but, to paraphrase Al Pacino in (the abysmal) Ocean’s Thirteen, some people I take very seriously have told me that Tyler Roberts is a very serious football player. My only live glimpse of Roberts’ talents came on a cold night in Bangor, North Wales (like a cold night in Stoke, but more difficult) late last year when Osian Roberts’ Wales Under-16s got their teeth stuck into what would be their first outright victorious Victory Shield Campaign since the 1948/49 season, beating England 1-0 in their first game of the tournament. It was obvious almost immediately that this guy was something special – the whole team played well, don’t get me wrong. A real embodiment at times of the ‘Welsh Way’ of playing the game that Gary Speed, Chris Coleman and Osian Roberts had/have worked so hard to implement and develop over the last few years – quick passing and great movement combined with astute defensive work. But Roberts stood out for me because he just did everything. Captaining a side at that age, you don’t necessarily expect the kind of hands-on performance that you might see from the likes of Wayne Rooney in the Premier League or whoever when they get involved with everything but ‘TyRo’ did that. He took free-kicks, he dropped off and got involved with the build-up, he worked the goalkeeper and was involved in what would be the winning goal for Wales which was scored by Cardiff City defensive prospect, Liam Angel. A really great performance before being substituted after 73 minutes. You can always put one great performance down to a fluke of course; I’m sure we’ve all had a game where we’ve felt like Lionel Messi or whoever, but this wasn’t that and Roberts had a great campaign overall, notching two assists and getting a goal himself in the remaining two games against Scotland and Northern Ireland. He’s quick, powerful, tall and looks an intelligent footballer! Since then, his season has just gone from strength to strength. West Bromwich Albion manager Tony Pulis, proud of his Welsh roots himself, clearly values him and has labelled Roberts a ‘very promising talent for the future’, evidenced by the fact that Roberts made the bench for West Brom’s final game of the season against Arsenal, and also made a trip to Old Trafford earlier on in the season, but was only involved in the warmup, as West Brom won 1-0 against Manchester United. Invaluable experience for the youngster! And now, he’s had a great training camp by all accounts with Wales’ senior team and there really should be a place for him in that team in the future. It’s probably the first time in 30 years or so that Wales haven’t had a really top-class number 9. Over the years Wales have had the likes of Ian Rush, Mark Hughes, Craig Bellamy, John Toshack, John Hartson and Robert Earnshaw – all very good for Wales in their own right but an argument could be made that the current crop of forwards (not including Gareth Bale and Hal Robson-Kanu who are wingers, sometimes deployed as forwards) aren’t at that level. It would be foolhardy of course to say that Roberts is at that level yet, because he isn’t, not yet. He could well be though in a few years’ time if he continues his current rate of development! Hopefully for Wales fans, we can see him making his Premier League debut next season. Everyone and their dog in the Welsh media has been quite quick to enquire, in light of Wales’ recent success, about the Golden Generation – is this current crop the one? If they qualify for Euro 2016 then you’d be hard-pressed to argue against that! The next generation, however, led by the likes of Tyler Roberts could surpass that still! Those were the words of captain Ashley Williams to describe West Brom’s rising star Tyler Roberts following Wales’ unforgettable 1-0 win over Belgium at the Cardiff City Stadium. My only live glimpse of the 16-year-old prospect’s talents came on a cold night in Bangor, North Wales, late last year when Osian Roberts’ Wales Under-16s got their teeth stuck into what would be their first outright victorious Victory Shield Campaign since the 1948/49 season; beating England 1-0 in their first game of the tournament. I’ve left this blog for far too long so time for an update of sorts. 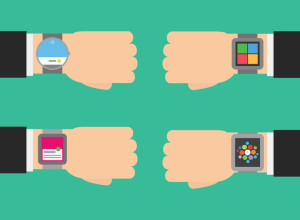 Since I started this blog I’ve got though a lot of wearables and now have a shelf’s worth of bits, bobs, trackers, wellbeing helpers, EEG units and wearable computers (not least Google Glass). 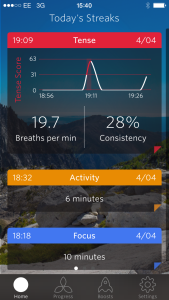 Of all the wearables I’ve kept using, I like Spire’s respiration wearable. 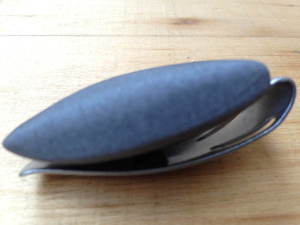 This is a pebble-like object that clasps into trouser hips or bra straps tracks breathing so to assess whether people are feeling calm, tense or focused. While breathing, inhaling and exhaling may not seem an especially subtle measure, the results are actually quite accurate (verified by me). There was a time I thought I would probably never go to Cardiff City Stadium again. There was a time I thought that Wales would never qualify for a major tournament in my lifetime. After Gary Speed’s death, there was a time I wondered if I could ever enjoy supporting the national side again. There was a time. On a rain soaked Friday night in Cardiff, the greatest Welsh side in living memory changed everything you thought you knew about football in our small but proud country. Wales are the team who are capable of a few good results, but will always let you down in the end. We’re the team who constantly put ourselves in good positions, before throwing things away in the most unlikely or heartbreaking way possible. Not any more. Not this team. Wales’ assistant manager Osian Roberts admits Belgium are in their best ever form – but he still believes they can exploit any weaknesses. Chris Coleman’s No2 is confident ahead of Friday’s top-of-the-table Group B clash after doing his homework on the Red Devils with a trip to Paris on Sunday to witness the Marouane Fellaini-inspired 4-3 victory. While Roberts was full of praise for the newly-crowned second best team in the world – who have risen nine places from 11th to their highest ever position in the Fifa rankings – he insists Wales are capable of causing an upset after November’s shut-out. He said: “Nothing they did against France surprised us; they’ve been playing that way for a while but I think what you saw was that they’re in a rich run of form at the moment. That’s the best I’ve seen them play for a while.